David Goodhart‘s bestselling book is a robust and timely investigation into the political and moral fault-lines that divide Brexit Britain and how a new settlement may be achieved. Several decades of greater economic and cultural openness in the West have not benefited all our citizens. Among those who have been left behind, a populist politics of culture and identity has successfully challenged the traditional politics of Left and Right, creating a new division: between the mobile ‘achieved’ identity of the people from Anywhere, and the marginalised, roots-based identity of the people from Somewhere. This schism accounts for the Brexit vote, the election of Donald Trump, the decline of the centre-left, and the rise of populism across Europe. 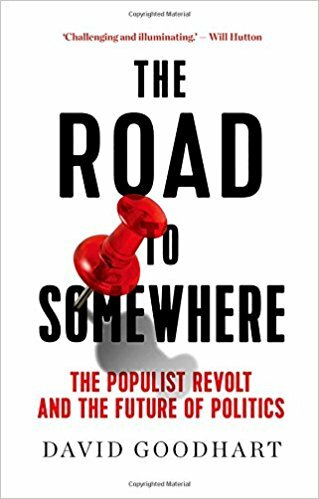 David Goodhart’s compelling investigation of the new global politics reveals how the Somewhere backlash is a democratic response to the dominance of Anywhere interests, in everything from mass higher education to mass immigration.